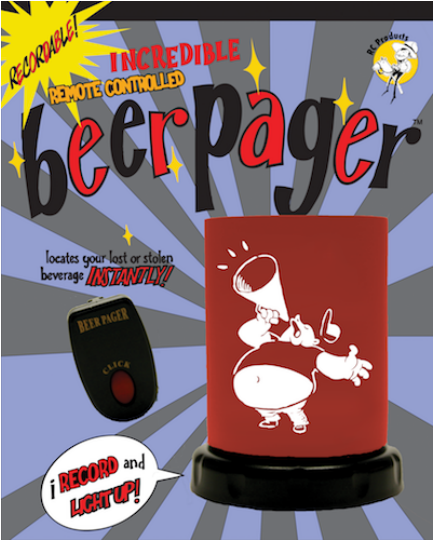 Record your own "drinktone" in seconds with the new BeerPager Recordable. 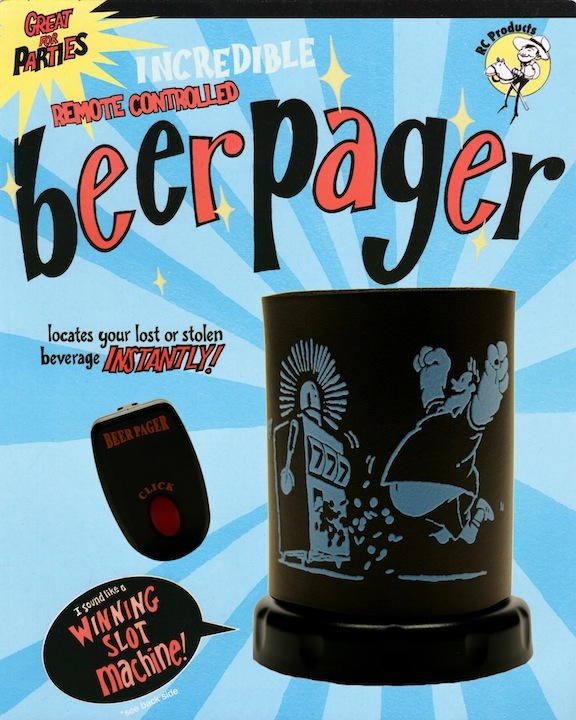 Like all BeerPagers, it plays a sound and flash its lights at the press of a button on its remote control. The difference is you can record any sound as a drinktone and change drinktones as often you want! 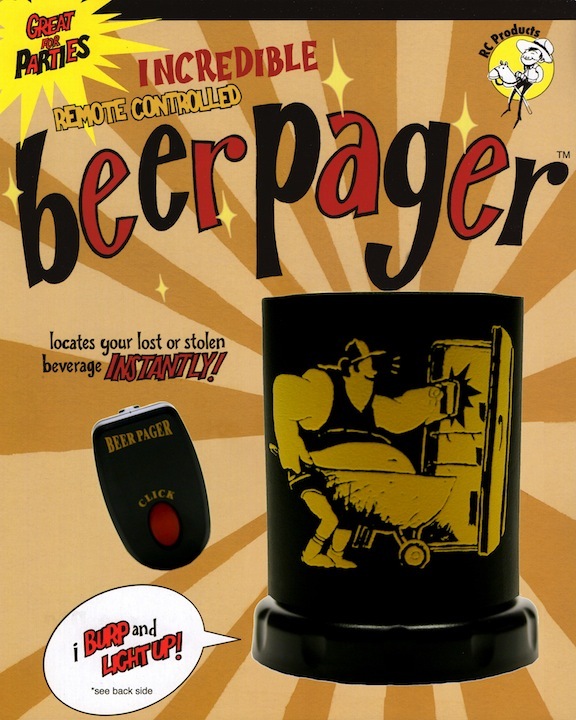 You'll always Git-R-Done(tm) when looking for your beer with this celebrity BeerPager. Just follow the sweet voice of Larry The Cable Guy(tm) as he calls out to you as only he can do. 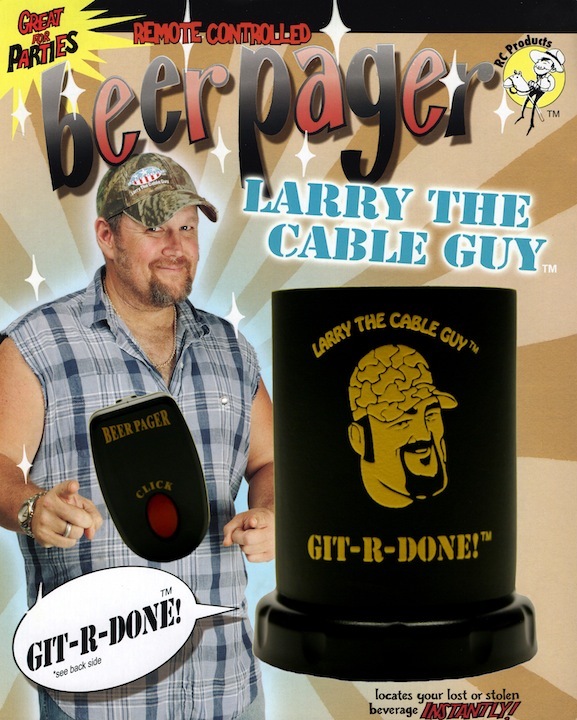 Laughs are always just a button press away with the Larry The Cable Guy BeerPager. 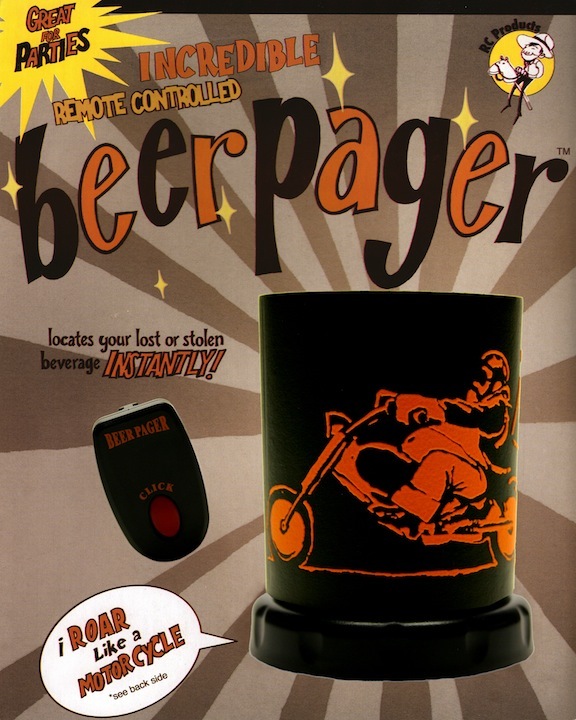 Few things can rile up a biker more than a lost beer. Sure, they may know every street in Sturgis, but what good does that do them when they misplace their suds? Support you local biker with this pager that lets rip a revving motorcycle engine at the click of a button. Copyright © 2015 RC Products LLC. All rights reserved. 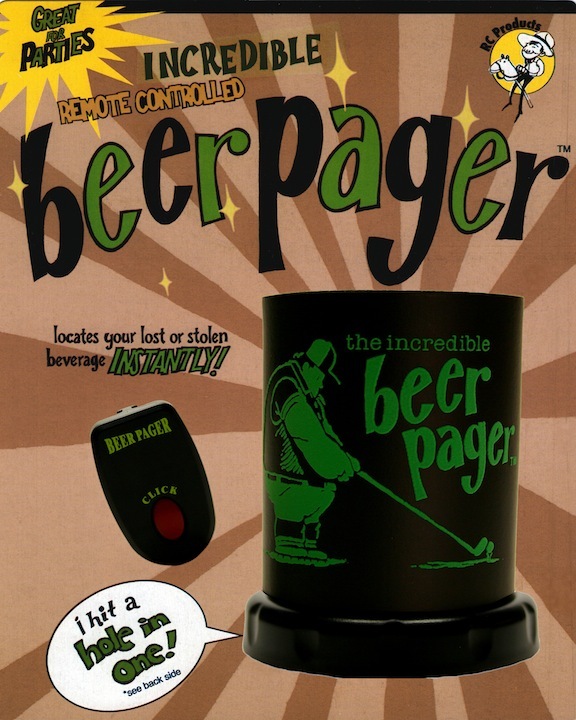 BeerPager is a trademark of RC Products LLC. Other trademarks are property of their respective owners.